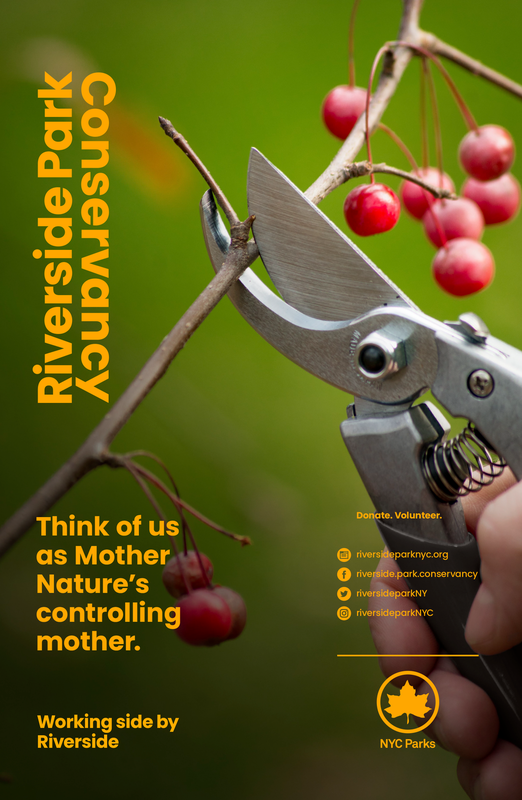 Riverside Park Conservancy is the steward of one of Manhattan’s most beloved and storied parks. Spanning from 59th Street to 181st Street, it’s a long and prominent piece of New York City lore, home to historical landmarks and beloved greenspaces, alike. 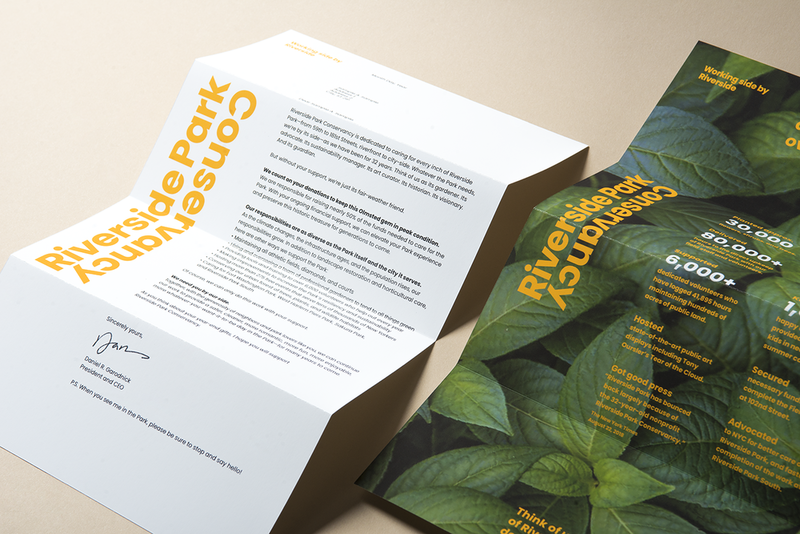 In an effort to assert more visibility and claim its place as keeper of the park, Riverside Park Conservancy came to Applied with the intention to create a new visual identity and voice system. 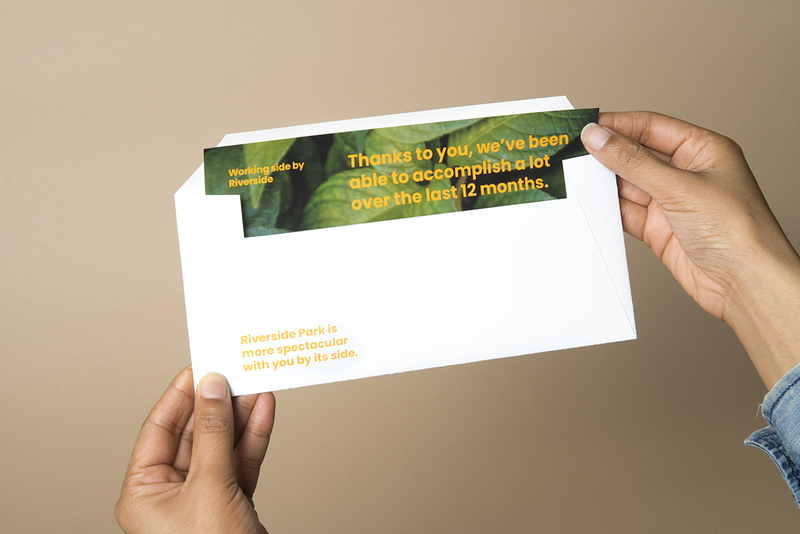 Applied formed a visual identity, featuring the bold and declarative honeylocust yellow, a color inspired by the color the honeylocust trees throughout the park turn in the fall. The vertical logo conveys the Conservancy’s work up and down the length of the vast vertical park. It’s hard to ignore the elegance and declarative nature of this visual identity. 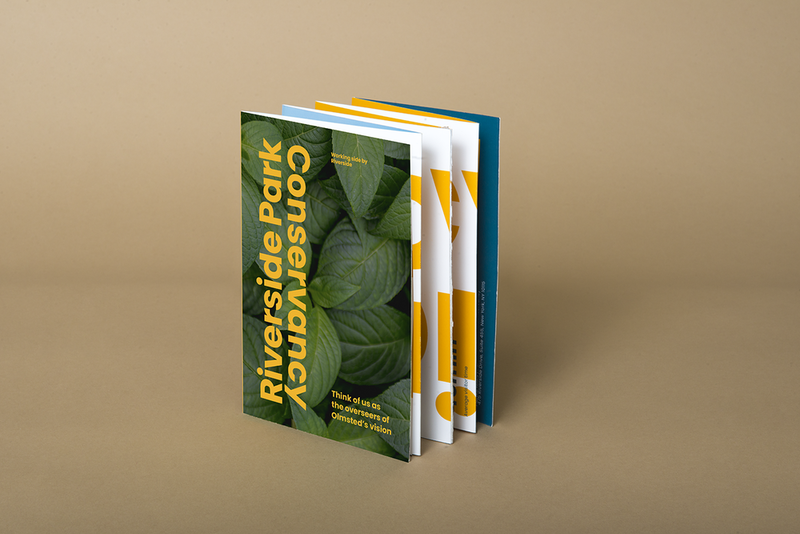 The phrase “Working Side By Riverside” accompanies the logo, adding a playful and dynamic voice to the visuals. The identity can now be seen throughout the park on banners and various materials in support of the organization.